"Let There be Peace," created by senior Hallie Daley, was created with ballpoint and gel pens for the Kingsley Art Show. The Kingsley Art Show, which was founded in 1892, features works of art made by high school students inspired by original artwork featured at the Crocker Art Museum, and this year Vista has 13 entrants. The Kingsley Art Show is open to all high schools that are within 60 miles of Sacramento. The exhibition will take place from May 15 through June 29, 2014, at the Crocker. However, people who can’t make it to the museum can also view the artwork online through their website. Students were able to submit drawings, glass, printmaking, digital/new media, photography, sculpture, ceramics, painting and animation, possibly winning cash prizes. Last year, our very own Kayla Grant was one of the students whose art was showcased at the Crocker Art Museum. “I … feel validated as an art student and I thank Mrs. Martin and Mrs. Kile for teaching me everything I know,” Grant said. Although the deadline to submit anything has passed at the time of publishing this article, the contest officials have not released whose artwork will be shown in the exhibition. Shannon Washburn, Hallie Daley, Elizabeth McClain, Shannon Cefalu, Gabby Dominguez, Bailie Miller, Lauren Reed, Miranda Burke, Rebecca Bradley, Amanda Bequette, Macy Matthews, Daniel Sunkari and Oliva Prymak. 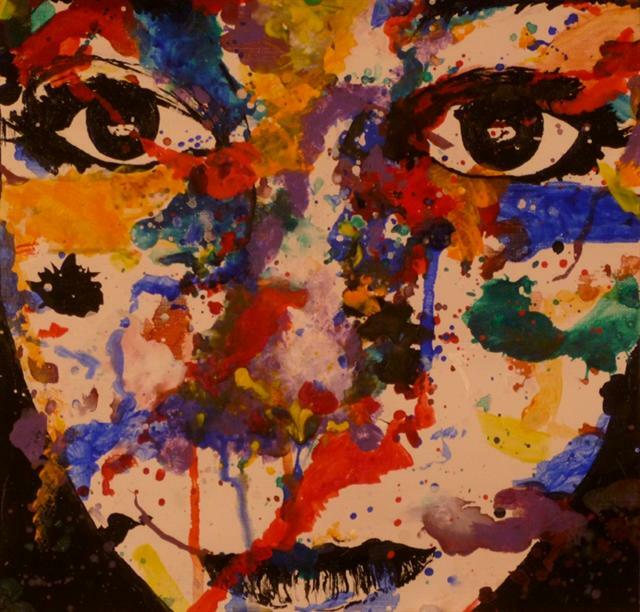 Vista junior Shannon Washburn created this with acrylic paint for the Kingsley Art Show.